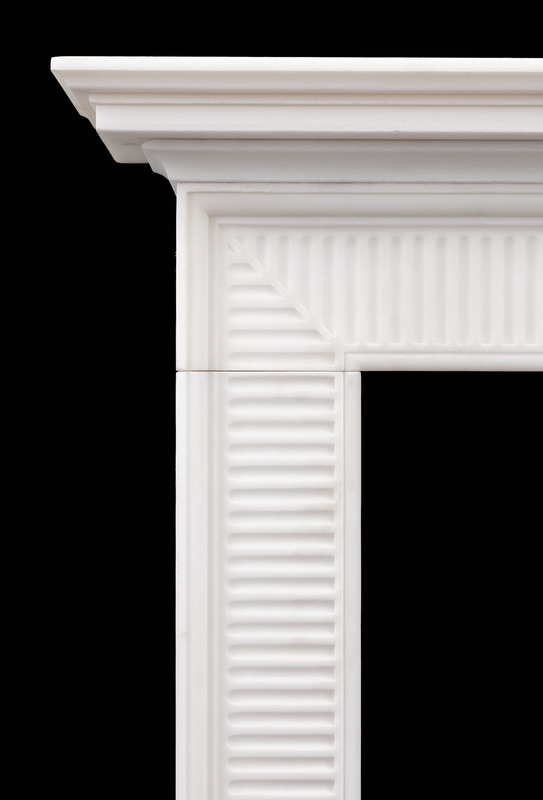 The wide moulded frame is carved with finger flutes that come to a mitre in each corner, this with cornice shelf resting on top. 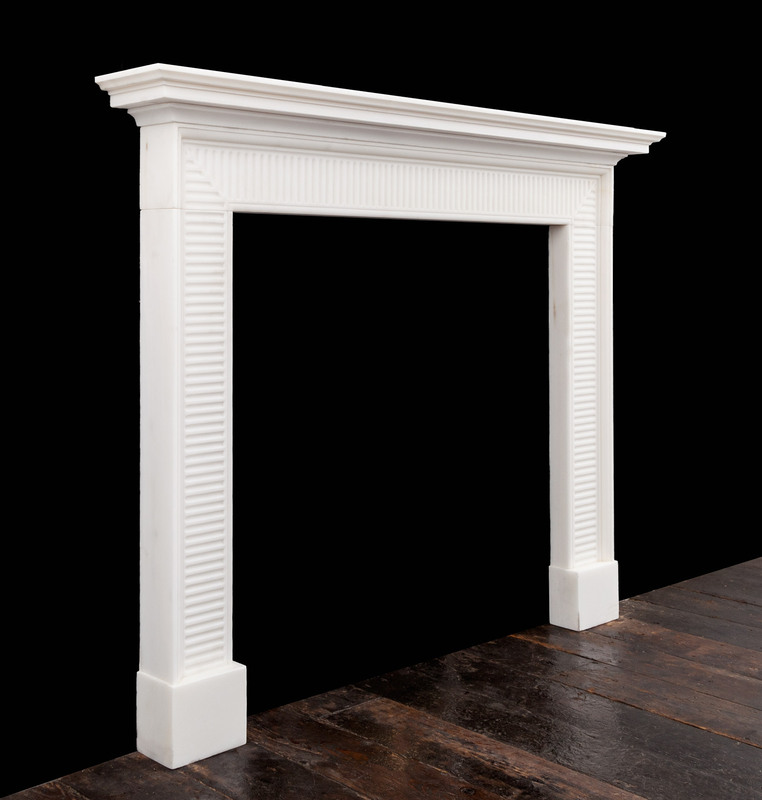 The Wilton mantelpiece is based on an 18th century antique piece, currently in Ryan & Smith’s inventory. 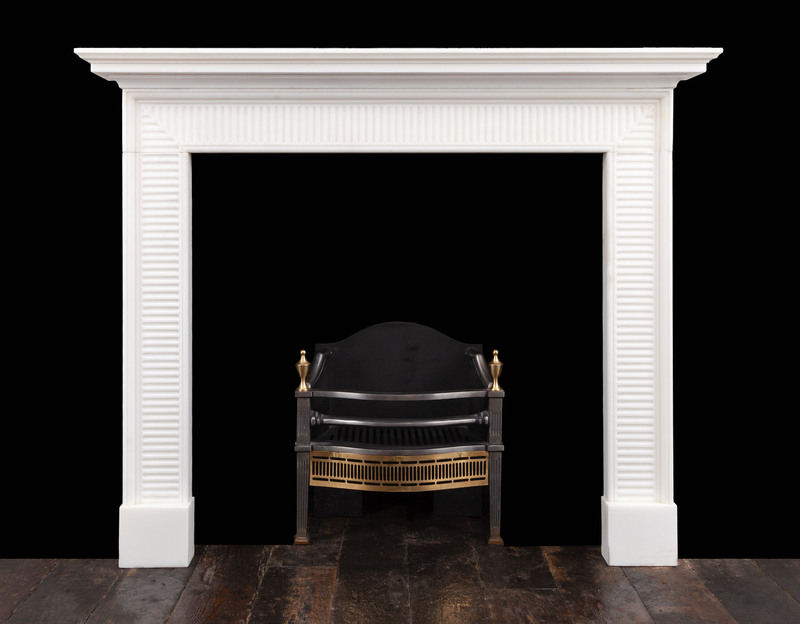 Its a design that would suit both period and contemporary interiors.